UNIZIK postgraduate form (Second round) for the 2018/2019 academic session is out. The management of the Nnamdi Azikiwe University, Akwa, (UNIZIK) is now selling admission forms into its full-time and part-time postgraduate programmes. For further information, contact info@spgs.unizik.edu.ng. I’ve completed the online registration. When am i to submit the hard copy of the ref form. Can I come to the school to apply? I want to avoid the rigour of passing through internet process sir. How much should one expect paying for registration after giving the admission for the P hD. From Chin edu. I have 2.88 degree. I need to run M.sc building in unizik but am seeing 3.00. Can I be accepted if I apply? PLS BROS OLUSEGUN DO U KNOW HW MUCH IS THEIR SCHOOL FEES FOR PhD IN THE FACULTY OF ARTS? Hi my name is chidimma,, am one of the MSC aspirant, need clarifications on some things, firstly d olevel certificate is the computer print out or the one we collect from school , secondly the transcript form do we have to take it to our former school for completion? A person who missed the first screening test, can he take part in the second test? PLEASE,HOW CAN I SUBSCRIBE TO YOUR WEBSITE TO RECEIVE UPDATE. how do i know if i am admitted for msc in this year 2017/2018 session? Is it possible 2 change my referees in the post graduate application?? If possible, how can I do it??? Comment Text*pls I need clarification.I HV second class lower division at 2.86 FCGPA. Pls am i eligible 2 buy d PGD form 4 my masters. Hi, my name is Isa. Am a graduate of physics electronic (third class) from federal university of technology minna n wish to apply 4 PGD Radiography. What’s my chances of getting admission. Tnxs. Pls is unizik post graduate list out? @ifeoma, No news yet about the list but you will be updated when its out. Kindly make use of our newsletter box above to get latest and updated information about UNIZIK. Pls I have 2.55 in Physiology. Can I run PGD in Med Lab or Pharmacology? If not, which other related course can I possibly do as well as dead line for the form? 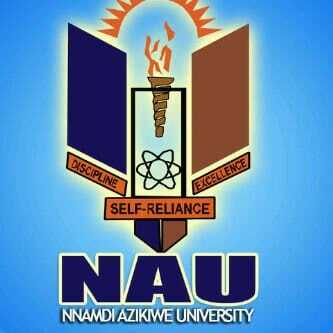 @Nancy, see UNIZIK Secretary, School of Postgraduate Studies. Please, I am with HND (Upper) in architecture, can I be able to do my PG(architecture) in your school? @Igbozuruike Ngozi, you can only use a HND certificate for PGD.